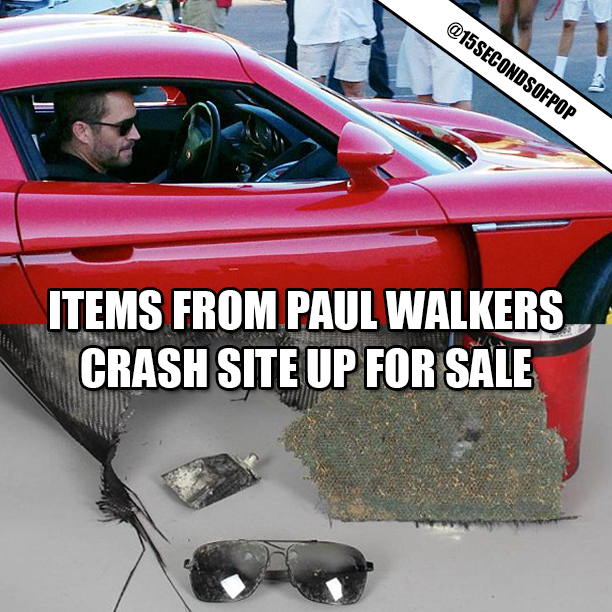 Items that were allegedly found at Paul Walker’s crash site are now up for auction. A fire extinguisher, a piece of debris, and the sunglasses he was wearing on the day of his death. The seller wishes to stay anonymous and assures his intentions are from a “place of respect”. Read the FULL story below. Fans are OUTRAGED, what do you think about this auction? “The sunglasses Walker was wearing on the day he died — as well as a fire extinguisher that was allegedly used to try and save Walker’s life — are now up for auction on BidAMI.com. The seller claims he was at the crash scene last November looking to help … but cops kept him away. He nosed around once the wreckage was cleared … and that’s when he says he found the sunglasses in the bushes, though he says he didn’t realize their significance until photos surfaced of Walker earlier in the day … wearing the same glasses. It is unclear how the seller acquired the fire extinguisher or a piece of debris from the crash, but they are both included in the auction as well.